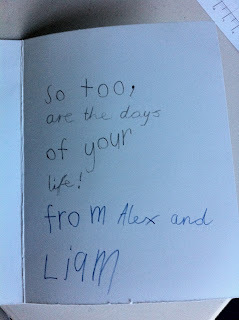 I have just had my birthday and this year my birthday card tally was at an all-time low. This all changed today, when my friend Janet gave me this great card. She made it for her son's to sign. 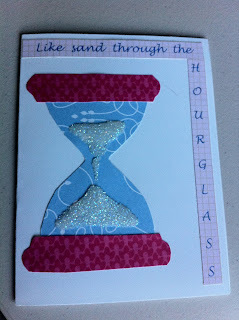 IIf you are having trouble reading this, it says: 'Like sands through the hourglass, so too are the days of your life...' It really made me laugh. 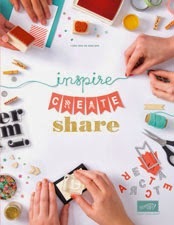 I was impressed as she had used all her Stampin' Up! stuff to make it. 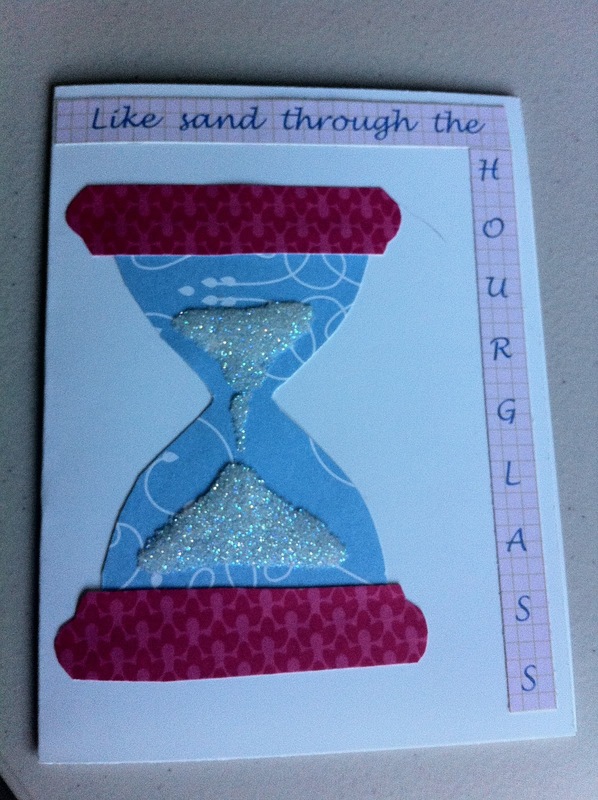 The only disturbing part of this card is that there appears to be more sand that has passed through than is left!! what a fun card! I like them! Did you get my card?